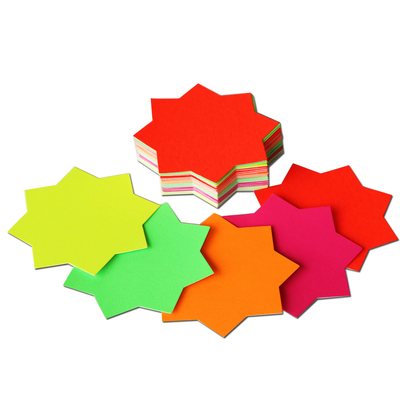 When it comes to making engaging displays, our Fluorescent Card Stars are sure to capture everyone's attention. Each one has been manufactured from a strong cardboard in a variety of bold colours to fit in with your chosen product. They are compatible with all kinds of ink and pencil - making them ideal for jotting down quick notes or directing people towards specific information. This large and economic pack size is the perfect resource for busy school and office environments.